a. Make it easy for customers to complain. There is nothing more frustrating than being fobbed off! b. Look at things from the customers point of view and respond quickly. 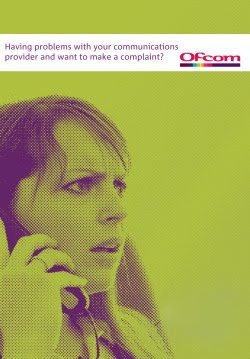 The three top priorities for a complaining customer are an apology, an explanation and a reassurance that it won’t happen again. Get these three right and you may not have to give any money away. c. Be sure to also ask customers for compliments when you are getting things right. This information will tell you more about your employees than you could ever imagine and it will help you to focus on what customers really like.